The world celebrates Earth Day on April 22nd with this year’s theme “Trees for the Earth”. This annual event dates back to 1970 and originated in the United States. I believe this year’s theme about trees is one that farmers and activists can find common ground on. After all, who doesn’t like trees? Trees help us with some of our basic needs like food and shelter. How many of us enjoy a nice home because of trees? How many fruits and nuts do we enjoy because of trees? Yes, trees play an important role in our lives. We could say that trees fill up our senses with their seasonal beauty, swaying branches, sweet flavors, soft breezes and shade for our picnics. On our farm trees also play a practical role of helping us care for our cattle. side of this windbreak are spared the impact from our harsh winter winds. As a Nebraskan I am proud to say our state takes tree planting very seriously. In fact, April 22nd used to be the annual Arbor Day celebration until it was moved to the last Friday of April. The early pioneers that settled in Nebraska missed their trees in our mostly treeless state. 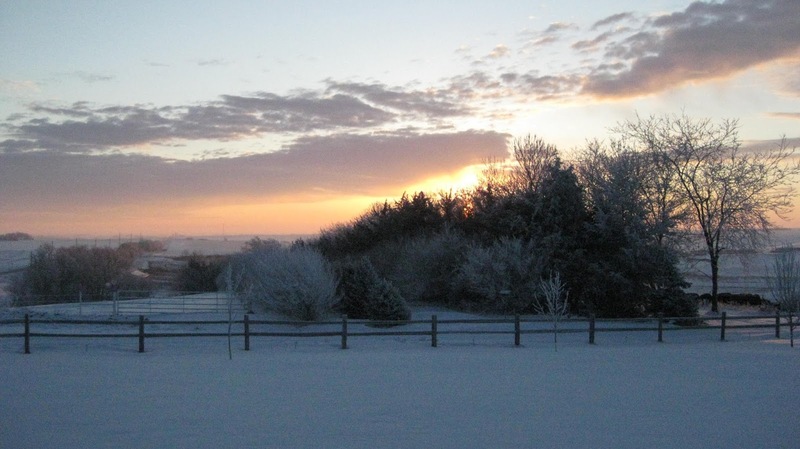 The Nebraska landscape changed when Julius Sterling Morton, a journalist, advocated for setting aside one day a year for planting trees. In response to J. Sterling Morton’s request the State Board of Agriculture declared to have one day set aside to plant trees. 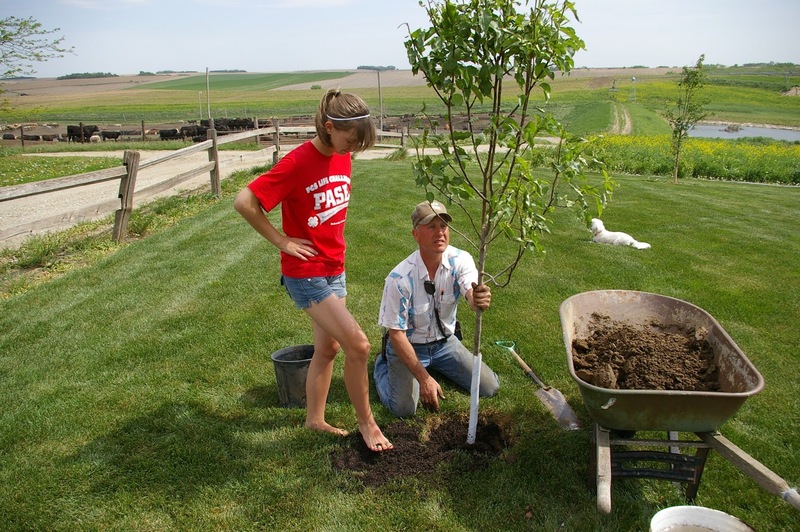 Nebraskans planted over one million trees that first Arbor Day. had many large trees to provide shade for our own playground. 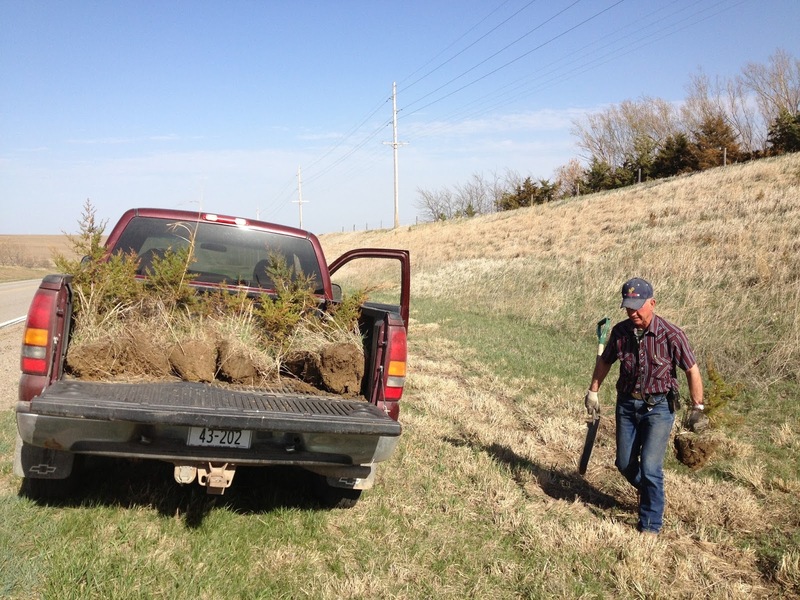 Steve and I have joined the tree planting tradition put into place by the previous generations of Nebraska farmers. Nearly every farmstead has trees planted on the north and west side of the house and barns for winter protection. When Steve and I bought our farm in the early 1980’s we had some established trees right around the house and barns. Many of those trees are still standing. With dreams of our own to expand the cattle feeding capability on our farm we first chose to plant more trees as windbreaks. 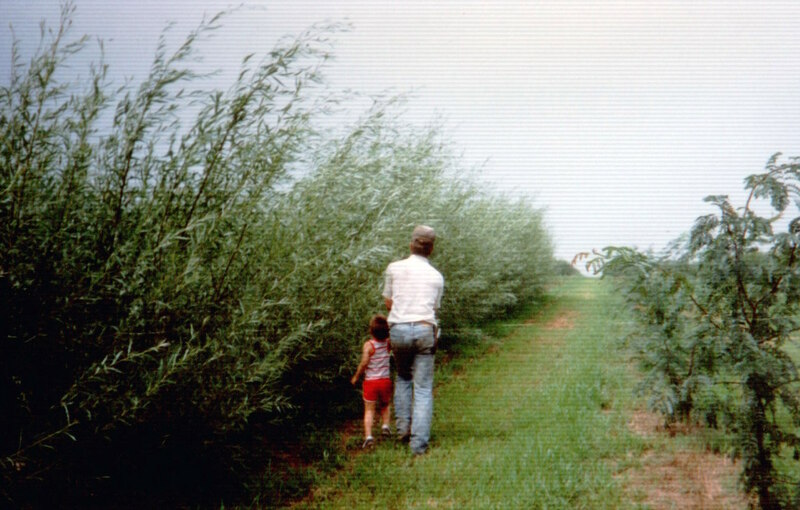 Over the past 35 years Steve and I have planted several thousand trees and shrubs on our farm. The trees protect cattle from blustery winter winds, they hold snow keeping moisture where it is needed and the trees provide great habitat for wildlife. middle of the photo were planted by Steve’s grandparents. The first trees we purchased were from our local NRD (Natural Resources District). The trees were about a foot tall with a little bit of root and resembled a stick with hair. Steve would drive along with a tractor and post hole digger making holes for the trees. I would follow with my bundle of trees planting them one at a time. Every spring we continue to plant more trees. 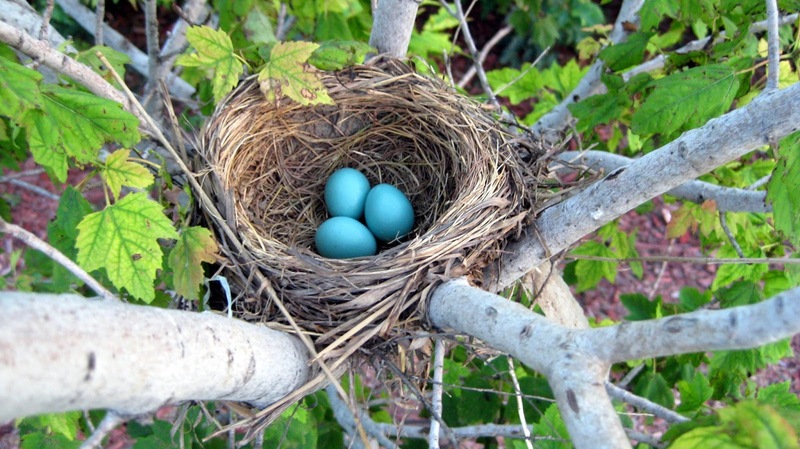 we are blessed to hear numerous species of birds singing on our farm. We found that the key to growing good trees was to make sure they were watered throughout the summer months. Since the majority of the trees were too far from the house to use a garden hose we had to make a plan that was easy, efficient and effective. We put a 400 gallon plastic tank on the back of a pickup and filled it with water from the well. We had a 2″ hose that was 20 feet long with a shut-off valve on the end. I would drive the pickup and Steve would walk behind watering the trees. I wasn’t alone in our pickup! Our kids were very little when we started the majority of our trees so they went with us when we needed to water them. Since it was often very warm and a little boring I created an activity to help pass the time. I made up math equations using toys the children were most interested in. For our son, Scott, it was Monster Trucks. For our daughters, Ginger and Emily, it was Barbie dolls. I would say something like this “You had five monster trucks and you left two at grandma’s, now how many do you have? Then you had a birthday and received three more, now how many do you have?” I just had to keep coming up with situations of gaining and losing the toys and before you knew it we were at the end of the row of trees. that we watered along with two rows of Cedar Trees. 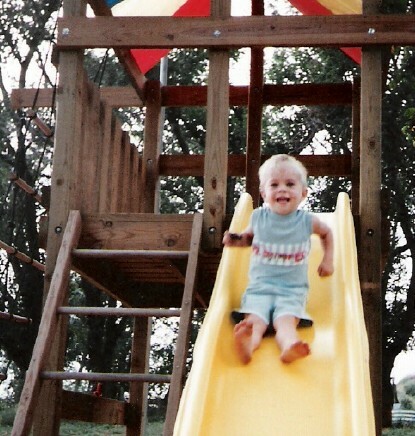 Scott is now 30! Steve and I continue to plant trees every year with nieces and nephews now getting the opportunity to help water them. 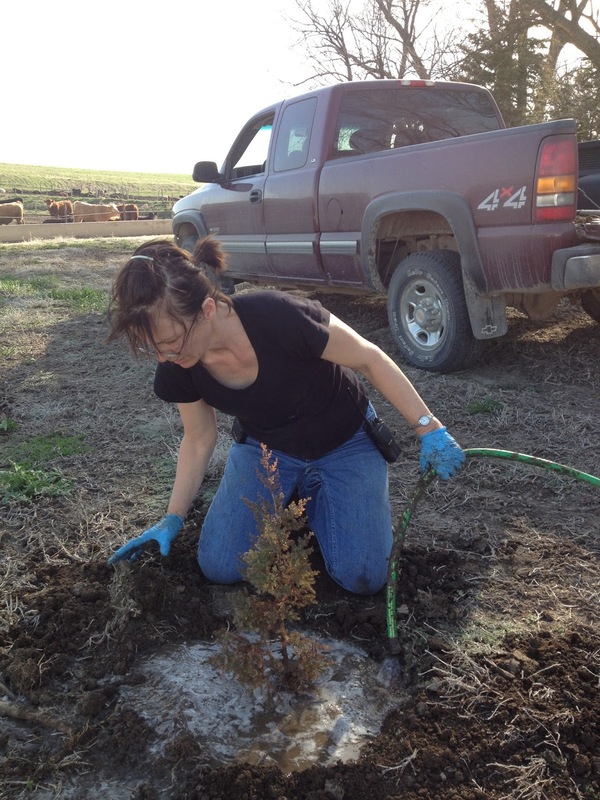 We dig up Cedar trees that grow in nearby road ditches that are about 3-4 years old. By using those Cedar trees we keep the road ditches maintained and we have trees that are six feet tall in just a few years. Most of the Cedar trees are used to fill in where other trees have died. Steve is carrying one more tree to the pickup. We also plant trees around our home for shade and visual enjoyment. My in-laws started a neat tradition to help us get more varieties of trees around our home. 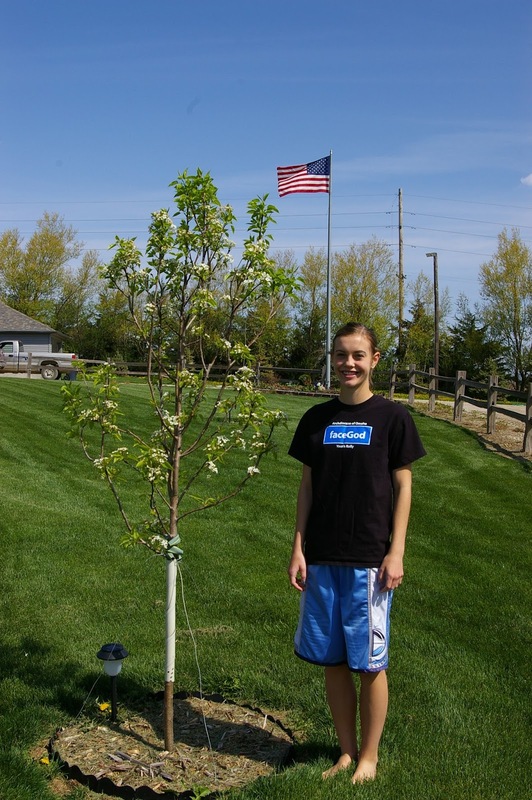 Our oldest daughter received the gift of a tree from her paternal grandparents as an eighth grade graduation gift. That started the tradition for each of our five children when they graduated from eighth grade. planted that one and they have gorgeous white flowers in the spring. Kim with her tree the following spring. I encourage you to join me in celebrating Earth Day. Let’s plant more trees and enjoy the many benefits they give us. 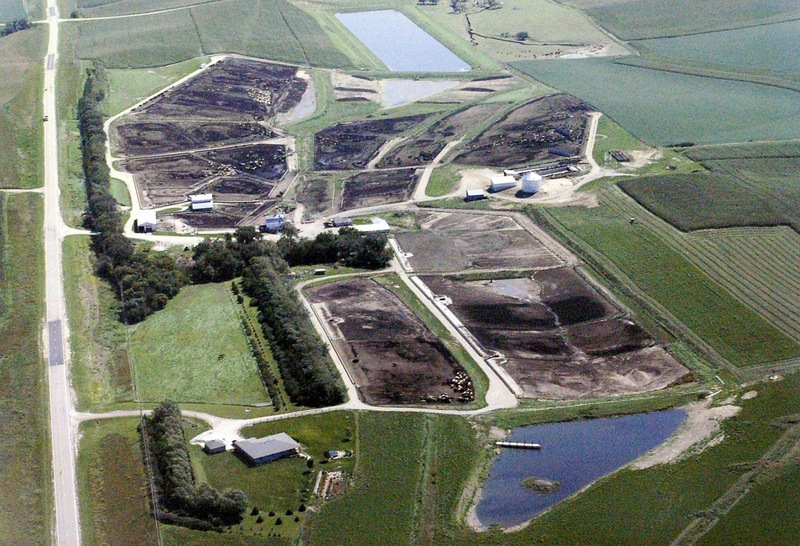 Join the farming community in recognizing that caring for the earth is a way of life, not just an event once a year. As we move through spring and into the hot summer months I hope you find plenty of time to sit in the shade under a beautiful, marvelous tree! nieces. 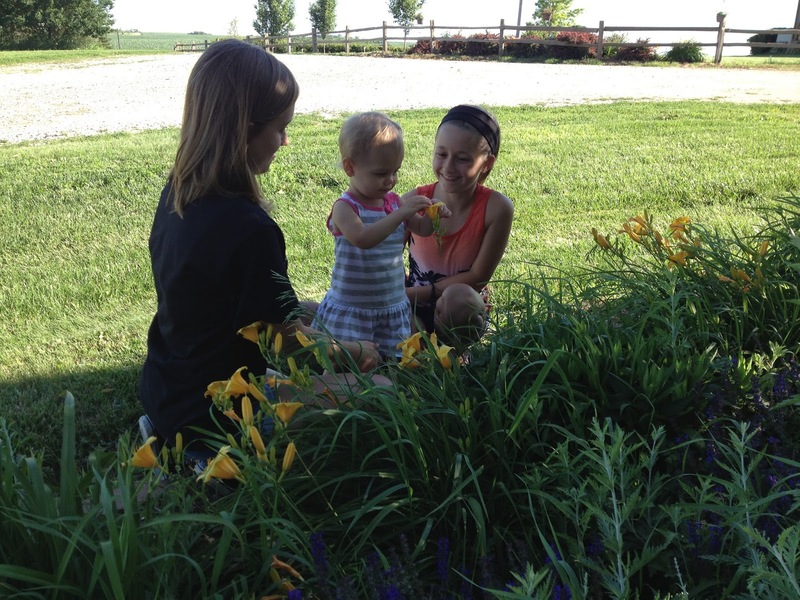 I have these daylilies planted all over our farm! If you would like to know more about Earth Day you can watch an interview I had with Pure Nebraska here. I also made a very tasty bacon wrapped meatloaf in another segment of the show that you can watch here. I have the recipe below if you’d like to try making it! Remember that one serving of beef is loaded with 10 essential nutrients including 25 grams of protein for only 150 calories!! Soak the bread with the milk in the bottom of a mixing bowl. Add the egg, onion, ketchup, salt and pepper to the mix. Add the beef and mix well. Tear a sheet of aluminum foil that is at least a foot long. Lay six slices of bacon on the foil. Take the meatloaf mixture and form into a loaf shape and lay it along the bottom of the strips of bacon. Sprinkle the brown sugar across the top of the meatloaf. Roll the beef mixture until the bacon completely surrounds the loaf. Place the meatloaf in the middle of the foil. Wrap up and seal all the ends. Bake at 375 for 45 minutes. Remove meatloaf and open the top of the foil. Place back into the oven for another 15 minutes. Remove from the oven. Carefully drain the juice by opening one end of the foil. Slice the meatloaf and serve with sides or on a bun.